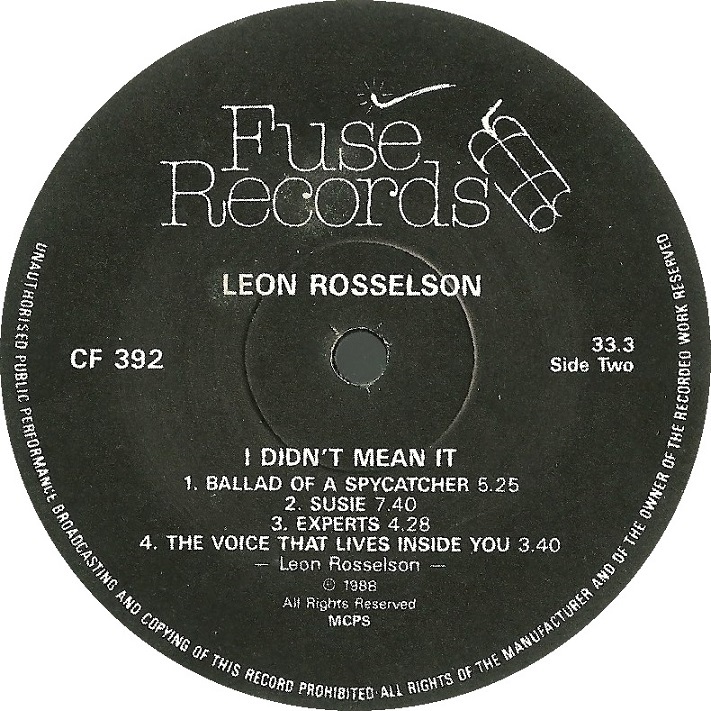 Following the success of the single, "Ballad of a Spy Catcher", Leon soon returned to recording work, convening at London’s Sound Studio in July 1988, with his established line-up of singers and musicians. 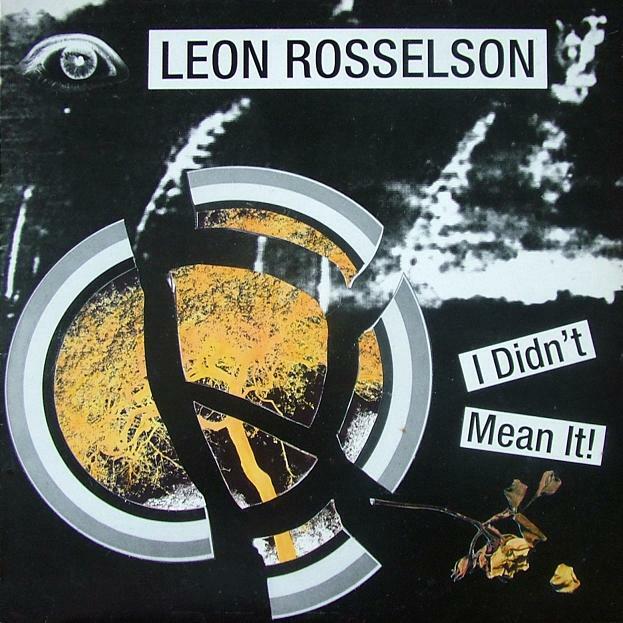 Most of the songs on the album are new to the public, “Spy Catcher” joined by just two oldies, in this case the two Rosselson compositions from the Nuclear Power: No Thanks LP of 1981 which he'd not yet brought into his main discography, “No Cause For Alarm” and “Experts” (both in new versions). Their resurrection here was doubtless prompted by the Chernobyl disaster of 1986, which happened after the release of his previous album. 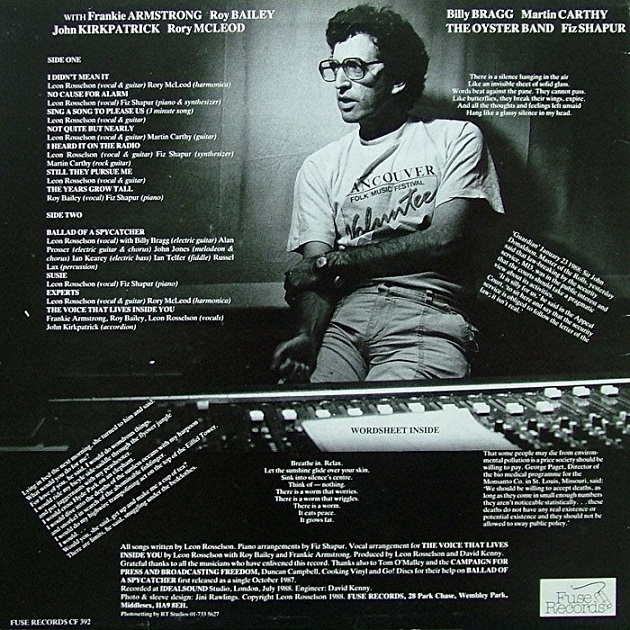 This LP was another to include a large pull-out lyric sheet inside the cover. 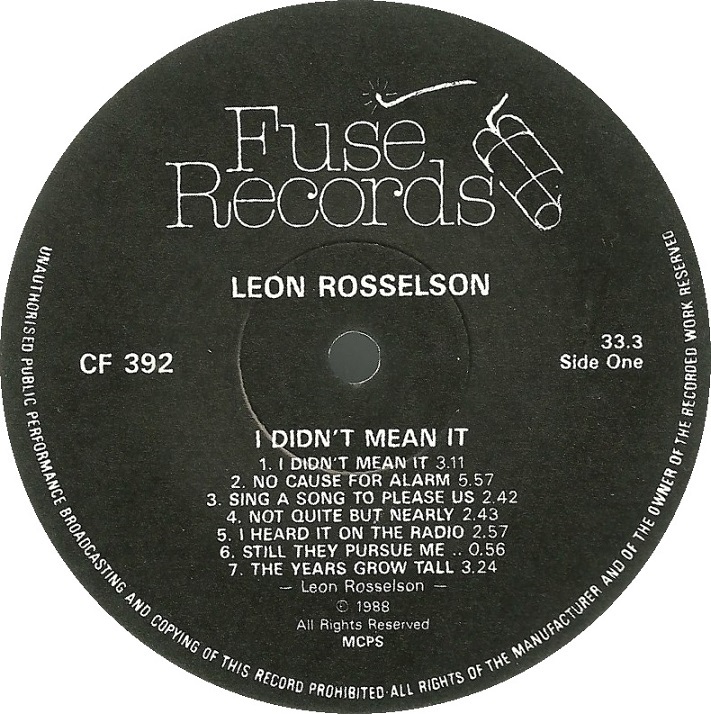 It was also issued at some point on cassette, probably Leon’s first album on the format. More significantly, this LP closes a chapter in Leon's recording career, terminating his vinyl output. From here on all of his releases would appear on CD (with a few more cassette editions).